Get Hooked – a new and updated version of a ‘links’ page, these are friends and business’ of Melodic Revolution whom we trust and think you should get to know. Just click on any logo to visit desired website. 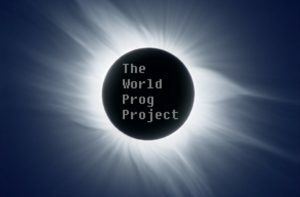 Visit our Artists Bandcamp stores as well as the Melodic Revolution Records Bandcamp stores under one roof for hundreds of quality releases in multiple formats such as CD, DVD, Vinyl, and a vast array of high-quality Digital downloads. Dragon’s Blood Web Productions is who we use for all our website needs, their company was created in 1999. Using HTML and flash we created sites for many clients across a broad spectrum. From artists to businesses we did it all. Over time we began focusing more on the artist’s side of development and how to best showcase the music. With the recent demise of flash-based web content due to browsers slowly foregoing support for the platform we have taken to the WordPress format which is HTML5 friendly and allows for many of the same features as flash without the bulkiness of flash itself. All site design is specifically tailored to your needs based on what you tell them. The mission of Guitars Not Guns Music Program is to help prevent violence in school and on the streets by providing foster kids and at-risk youth with focus and self-actualization. We aim to empower kids with the most fundamental tool they need to succeed: Beleive in yourself and you can accomplish anything! Habitat for Humanity International (HFHI), generally referred to as Habitat for Humanity or simply Habitat, is an international, non-governmental, and nonprofit organization, which was founded in 1976. Habitat has been devoted to building “simple, decent, and affordable” housing, a self-described “Christian housing ministry,” and has addressed the issues of poverty housing all over the world. One of music’s most respected and prestigious non-profit organizations, the Jazz Foundation of America provides jazz and blues musicians around the country with financial, medical, housing and legal assistance. The organization puts a special focus on assisting elderly musicians and veterans who may find themselves in need of help due to illness, age or any other unfortunate circumstance. Following the widespread devastation to the New Orleans area caused by Hurricane Katrina, JFA played a big role in helping dozens of musicians get back on their feet, as many no longer had an income or home due to the destruction. The Mr. Holland’s Opus Foundation keeps music alive in our schools by donating musical instruments to under-funded music programs, and vital support services to school districts nationwide, giving economically-disadvantaged youth access to the many benefits of music education, leading them to succeed in school, and inspiring creativity and expression through playing music. We bring together the music listener with music that inspires, and makes us think, while cultivating memories – we offer music that will stand the test of time. Inspired by Melodic Revolution Records Recording Artis and redefined by some of the worlds best independent and unsigned bands. Music for Relief was founded by the band Linkin Park in response to the 2004 Indian Ocean tsunami. Since inception in 2005 MFR has responded to more than 25 natural disasters across four continents including Hurricane Katrina, China’s Wenchuan earthquake, a cholera outbreak in Zimbabwe, earthquakes in Haiti in 2010 and Japan in 2011, and most recently the Nepal earthquakes in 2015. Music for Relief has also planted over 1.3 million trees to help reduce climate change. 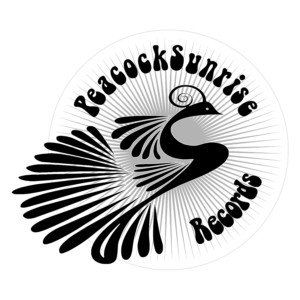 PeacockSunrise Records (PSR) is an imprint label of Melodic Revolution Records and know as an Alternative Crossover label which will be the home to amazing Rock, Pop, Blues, Folk, Alternative, and whatever else moves us. Save the Children Fund, commonly known as Save the Children, is an international non-governmental organization that promotes children’s rights, provides relief and helps support children in developing countries. It was established in the United Kingdom in 1919 in order to improve the lives of children through better education, healthcare, and economic opportunities, as well as providing emergency aid in natural disasters, war, and other conflicts. Possibly the most well-known organization in the world of music non-profits, Save The Music Foundation does just that, saves and restores music programs in public schools around the country. By raising awareness about the importance of music as a core part of a child’s education, Save The Music has had a positive influence on countless kids by giving them a chance to grow through melody. With budget cuts and a growing dependence on government funds needed to continue music classes in schools, Save The Music is there to give kids the tools to grow not just as potential musicians, but as leaders and students.